You already know the most important thing about the DoggiePubs team; that we are passionate about finding a decent pub to visit together. Shortly after the turn of the century, Kate and Simon and their new baby Border Terrier Millie begun to make a list of their favourite friendly pubs. It soon became clear that not all pubs welcomed Millie (how could this be?!) and so, many a day out was spoilt driving round the countryside in search of some lunch or even a pint and a snack that would incluide the whole family. This list grew and grew and hey presto became computerised, (with the help of web-master Gabriel). No one could have imagined the success of this humble list, so really much clapping and wagging needs to go to YOU our loyal and active Supporters. Now, 15 years on from the birth of both DoggiePubs and little Millie, life has taken the inevitable turn. Our faithful Millie is resting peacefully, tucked up beneath the Ashdown Forest turf in her garden. DoggiePubs will remain her legacy. Other changes here at the DP headquarters have been that Kate and Simon have handed over the running to Gabriel and Colette. So a big cheer must go to them for it is no small task to manage the constantly updating website. Should you wish to contact us please email Colette@doggiepubs.org.uk. 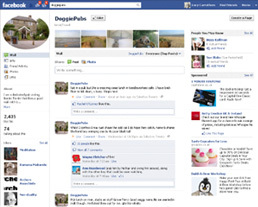 If on the other hand you would simply like to keep up to date with DoggiePubs news, do join our Facebook page and follow us on Twitter. We cannot resist an ironic smile and welcome to anti-dogists (strangely they do exist) - we are told some people use our site so as to know which pubs to avoid!! But we are pleased about this as it means our listed pubs will be just filled with friends! 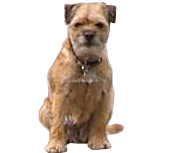 'My favourite doggie pub from your website (so far) is the Millers Arms in Canterbury. Went there on Monday and whilst I was snoozing in front of the log fire the owner brought me a bone china bowl full of hand cut Black Forest ham – yum yum!